Warehouse find! We just got our hands on some copies of this looong out-of-print, 30+ year-old edition of the definitive underground comics collection: the 2-in-1 volume containing The Apex Treasury of Underground Comics backed with The Best of Bijou Funnies. 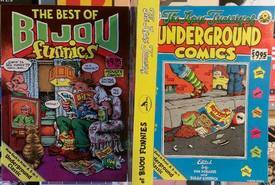 352 pages of classic undergrounds by R. Crumb, Justin Green, Art Spiegelman, Spain, and many, many more! While these copies are over thirty years old, they are new, uncirculated copies, straight out of the box. There is no better introduction to the classic era (1965-1975) of underground comics. 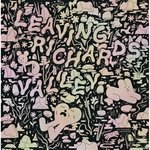 While supplies last... Take a minute and check out this detailed listing of the entire contents, courtesy of the Grand Comics Database (GCD) and you'll see why we're so excited to have this one back in stock.